Over 15 millions Americans live with severe joint pain, and the numbers are on the rise. Many different conditions can lead to chronic pain, from arthritis (the most common cause) to gout and injuries. But all chronic joint pain cases have one thing in common: inflammation. Inflammation is your body’s response to pathogens and bacteria that try to harm your body when left uncontrolled. It can lead to chronic pain and swelling, which affects your mobility and decreases your life quality. Fortunately, the autoimmune response can be controlled by lowering inflammation levels in your body. If you want to find out more about how you can relieve joint pain, we explained some of causes and treatments below. The conventional treatment for joint pain is an anti-inflammatory drug that fights inflammation both locally (gels) and internally (capsules). Unfortunately, none of the traditional methods address the root cause of the pain. On top of this, all anti-inflammatory drugs come with side effects that are potentially life-threatening. Bextra and Vioxx, two drugs that used to be prescribed by chronic pain specialists, are now off the market due to a high risk of heart disease. All anti-inflammatory drugs require careful monitoring by a specialists. While they do relieve pain, the risks often outweigh the benefits. A better approach would be to ask yourself why there’s inflammation in your body in the first place. Inflammation itself can be sign of something going wrong in your body. A study conducted by the University of Copenhagen shows a link between inflammation and a sedentary lifestyle. Another factor that may increase your inflammation levels is a diet high in refined carbohydrates.The more sugar you have in your diet, the bigger the inflammatory response, especially if the foods you eat don’t contain many vitamins and minerals. Adipocytes (fat cells) also play a role in the promotion of inflammation. Losing weight may improve your painful joints. Fortunately, there is a natural supplement that can help relieve joint pain as well, and it’s proven to be both safer and more efficient than conventional anti-inflammatory drugs. If you want to find out more about how you can relieve your joint pain without dealing with side effects, read on. Curcuma longa and Curcuma domestica are the compounds found in turmeric, a yellow spice traditionally used in Indian dishes and beauty routines. Indians have low rates of chronic pain and colon cancer, both of which are attributed to a high consumption of turmeric. The most effective type of curcuma in the fight against inflammation is Curcuma longa, the compound that gives the spice its orange color. Recently, a number of studies found that curcuma has strong anti-inflammatory properties that can be used against inflammatory diseases. It can help relieve joint pain as well. Curcuma works as a strong antioxidant that fights free radicals and improves insulin sensitivity, which is also linked to inflammation. By increasing insulin sensitivity, curcumin fights off obesity. Fat cells are well-known for their inflammatory response. As a result, curcuma fights off the consequences of a sedentary lifestyle and poor dietary choices, and it increases your chances of healing.Unlike conventional treatments for joint pain, curcuma doesn’t come with dangerous side effects unless it’s taken in high doses or in combination with blood thinners. The culinary history of turmeric and it’s inflammation fighting compounds show that there are no negative effects even when added as a spice to your meals regularly. However, if you want to get the best out of this supplement, you should search for the compound and not just for turmeric, which only contains 6% curcuma. If you’re looking for an all-natural, safe, and effective anti-inflammatory for your joint pain, curcuma may be your best bet. First, you should search for a supplement that increases the bioavailability of curcuma. Not all supplements are the same. When taken alone, curcuma is not absorbed properly. If you’re looking to get the best results, choose a supplement that has both black pepper and curcuma, and make sure you take it after a meal. The recommended dose is anywhere between 1 gram and 3 grams per day. Depending on the severity of your pain as well as your height and weight, you can decide whether to take a smaller or bigger dose. Curcuma is also used as a local anti-inflammatory in the cosmetic industry. If you suffer from any redness, mix some curcuma powder with water and leave it on for at least 30 minutes for best results. Untreated joint pain leads to discomfort and changes the quality of your life for the worse. Additionally, joint damage can even lead to disabilities and even more inflammation in your body. Conventional treatments can relieve pain, but they also comes with a myriad of side effects, including an increased risk for heart disease. While taking anti-inflammatories, you will be constantly monitored to catch the side effects early on and prevent them from becoming life-threatening. Fortunately, there is an alternative that is backed by a number of studies and is free from dangerous side effects: curcuma. Found in turmeric, the compound fights off inflammation through a number of pathways and restores your body’s capacity for fighting off inflammation. 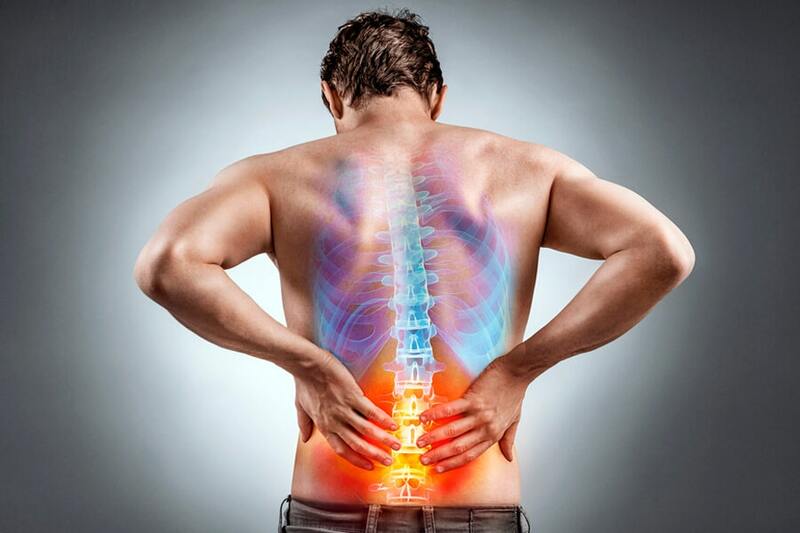 If you have any questions, don’t hesitate to contact Arizona Pain and Spine Institute.